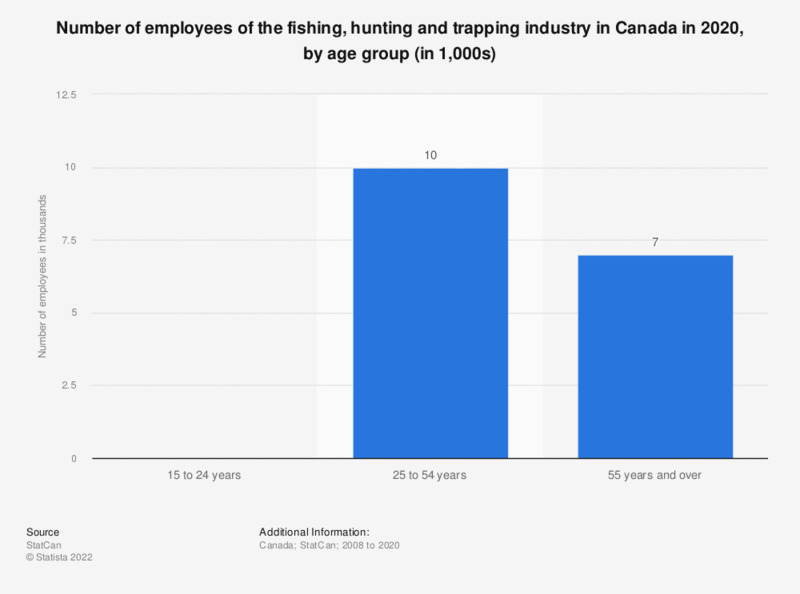 This statistic shows the number of employees of the fishing, hunting and trapping industry in Canada from 2008 to 2018, by age group. There were around 8,700 fishing, hunting and trapping industry employees aged between 25 and 54 years in Canada in 2018. According to the source, the missing data for employees aged 15 to 24 years between 2008 and 2013 is suppressed to meet the confidentiality requirements of the Statistics Act.